One time for the singing brothers of Omega Psi Phi! There is nothing comparable to the soul and passion that is put into an Omega Psi Phi pledge song and Mar’Quis Thompkins, a Fall 2015 initiate of the Mighty Omicron Epsilon Chapter of Omega Psi Phi at Bethune-Cookman University recently released a short video that shows just that. 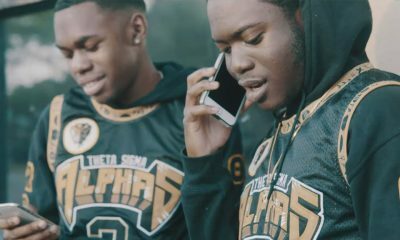 We at Watch The Yard recently came across a video of the 24-year-old Que singing “All Of My Love” and proving that the art and tradition of Omega chants and songs is still strong within the fraternity. Currently, Mar’Quis is living in Atlanta, Georgia engineering and recording projects. He is working on a mix tape that’s dropping in September as well as another mini album that his dropping before 2018. Share this on Facebook if you think this young brother of Omega Psi Phi deserves to go VIRAL!